A pair of lawsuits against the North Coast Railroad Authority have been dismissed by a Marin County judge, who ruled that federal law has precedence over state environmental regulations when it comes to railroad operations. 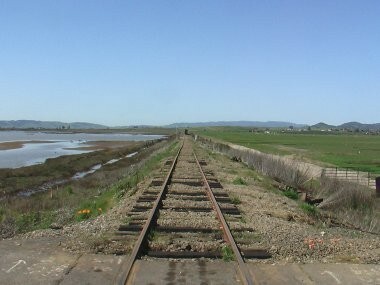 But with today's ruling, which confirms a tentative ruling made last week, Judge Roy O. Chermus sided with the NCRA, whose lawyers argued that CEQA didn't apply because railroad operations are the jurisdiction of the federal Surface Transportation Board, which had already granted the agency permission to resume service. For more on these lawsuits and the current state of the NCRA, pick up a copy of this week's Journal, on newsstands today and online tomorrow.